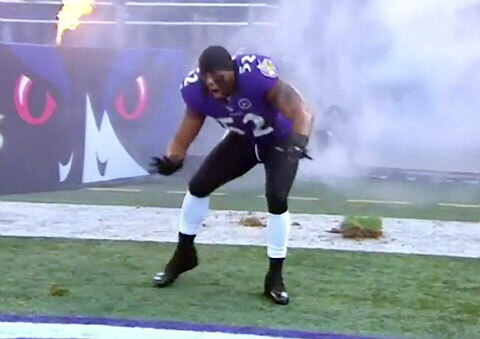 Fireworks went off at M&T Bank Stadium as Ray Lewis danced his way onto the field firing up the crowd. 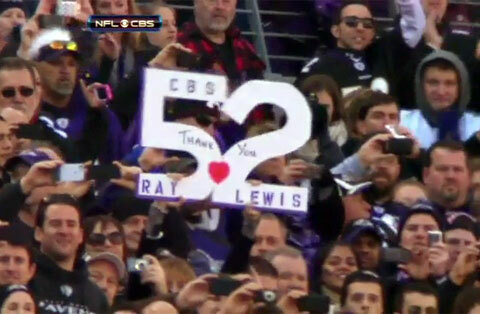 And to make it even sweeter, Lewis did his dance one more time in the middle of the field for the home fans lining up 10 yards behind the ball on the final play of Baltimore’s 24-9 win against the Colts. “When you think of the Miami Dolphins, you think of Dan Marino. When you think of the Denver Broncos, you think of John Elway – and when you think of the Baltimore Ravens, you think of this guy…Ray Lewis,” said the NFL commentator. Can the Ravens do it again? Look for a great game! Blog Post by PFP Sports and Celebrity Talent Agency, is a sports speakers bureau and top booking agent for football speakers, athlete appearances and endorsements. If you would like hire Ray Lewis for a speaking engagement, appearance, endorsement, autograph signing or special event, request Ray Lewis speaker and Ray Lewis agent information from PFP Sports and Celebrity Talent Agency. For more information call 800.966.1380.